Feeling a bit lost in Adobe Illustrator or InDesign? This tool palette cheat sheet should help you find your way. If you still need extra help, take a look at our Illustrator and InDesign courses! It is: A tool that allows you to resize and move artboards. It is: A quick way to create various graphs. 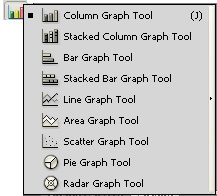 What it does: Takes data for your graph and places it into whatever form of graph you choose, including stacked, bar, line, area, scatter, pie, radar and mixed forms of graphs. It is: A convenient way to add numerous copies of a graphic to a design. What it does: Establishes what object you want to replicate and lets you create copies that can be altered for variety. It is: Great for adding dynamic colors to a graphic. What that means: Colors blend naturally together like a sunset. It is: A way to create various color effects in an object. What it does: Uses “mesh points” as guidelines for where to add colors; mesh points are like anchors from the Pen Tool, but add color effects. What that means: If you don’t want an object to have a flat, solid color, the Mesh Tool can mix and blend colors to offer object rendering. It is: For creating a cube effect. What it does: It places objects along planes. There are two planes that meet at that middle of the screen. The opposite ends to the left and right represent “vanishing points” where objects will appear miniscule as compared to being in the middle of the screen. The orientation and perspective of the objects will change depending on where they are placed in this grid. They are: Good for creating custom shapes and coloring. What it does: Shape Builder fabricates new objects by adding pieces of shapes together. For example, you can create a snowman by stacking various circular shapes on top of each other. Using Live Paint, you can freely paint designs using paths. It is: A means to change the width of a path. What it does: Makes anchors along a path grow in width to change the overall shape of an object after filling the path. What that means: You can make objects larger without feeding it fast food three times a day. They are: Ways to tweak an object’s position. What they do: The Rotate Tool moves an object, using one fixed point as the “hinge” to pivot the object. The Reflect Tool flips an object. It is: A little bit paint brush, a little bit pen (for paths). 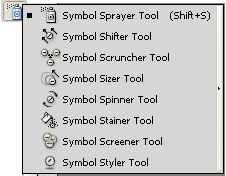 What it does: Creates a filled path of the shapes defined by your brush strokes. Any additional shape will be added to the path if it has the same stroke and fill color. It is: For keeping all parties accountable for their changes. What it does: Color-codes and tracks changes by users and allows individuals to leave notes in a document for others to read. It is: For putting a lighter touch on gradients. What it does: Softens the coloring of any gradient. This can be done by dragging the mouse over the gradient. What it does: Splits a path in two, creating separate paths. It is: For making room in your document. What it does: Creates spaces between at least two objects. Also, you can resize objects with similar alignment.